With the game's release exactly a week away from today, Sony decided to dish a trailer highlighting some of the bonus content exclusive to the ICO & Shadow of the Colossus Collection. 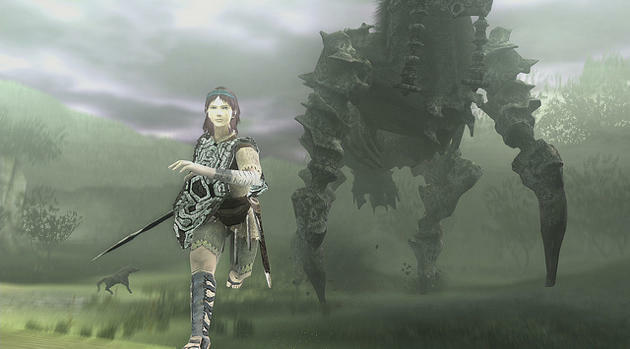 The video above packs nearly three minutes of in-game footage and interviews from both ICO and Shadow of the Colossus, as well as a peek at The Last Guardian. ICO & Shadow of the Colossus Collection officially releases next Tuesday, September 27th, exclusively for the PlayStation 3. If you never had a chance to experience work from the one-of-a-kind Team Ico studio, I suggest you snag to bundle. It will sell for $40, and that's practically a steal. How about any of you long-time Team Ico fans? Will you be looking to repurchase these classics and relive the experience one more time in remastered HD? Or has the holiday blast of ridiculous content made your wallets a little too light to take the dip?